Designed for students with a basic knowledge of Russian, this book provides an accessible reference grammar and related exercises in a single volume. Across more than forty grammar topics it introduces the student to Russian people and culture through the medium of the language used today, covering the core material which the student would expect to encounter in their first year of learning Russian. 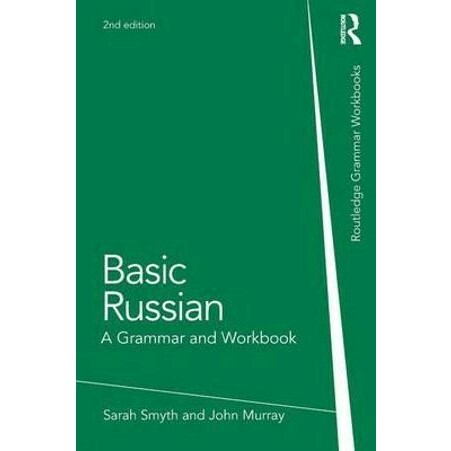 Complete with a full key to exercises and glossary,Basic Russian is a user-friendly reference grammar suitable for both independent study and class use. John Murray teaches Russian language, cultural studies, area studies, translation, comparative Slavonic linguistics, historical linguistics and Russian print media at Trinity College Dublin. He was head of department between 2007-2009. Sarah Smyth is also at Trinity Colllege Dublin where she is Senior Lecturer and Head of School.